If you are involved in an accident you are required by law to remain at or return immediately to the scene of the accident, if you fail to do so you may be charged with failing to Remain at Scene of Accident. The law also requires that upon request you provide your information to any parties involved in the accident, including police officers. 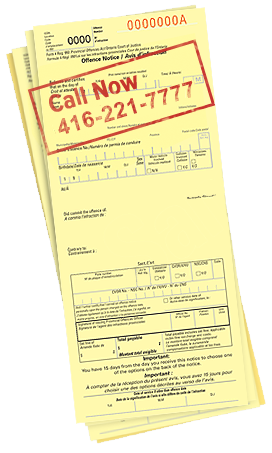 If you fail to provide your information you may also be charged with failure to remain at the scene of an accident. Every party involved in an accident must report the accident if there is an injury involved or the damage to both vehicles exceeds $1,000 dollars. It is important to note that “damage” only refers to the cost of the parts which must be replaced or repaired, it does not include the labor or other fees associated with the repair. The damage also includes damage done to property on the highway or private property. Generally, the most common charge resulting from an accident is careless driving. This offence includes a fine of $490 dollars and 6 demerit points. The reason careless driving is preferred by officers is because it is a reverse onus charge which simply expresses the need by the defendant to explain and provide evidence which shows why they were not careless. Since the introduction of the stunt and distracted driving charges, careless driving is dominantly laid as a result of accidents. It is very important that you are careful not to take responsibility, imply that you take responsibility or voluntarily assume responsibility for the accident. Additionally, do not make promises or sign agreements to pay for damages. You are not required by law to sign any agreements. Lastly, be careful of tow truck drivers who request to tow your vehicle to a garage or body shop and demand immediate payment. Find out what your options are! Call us now for a free consultation!